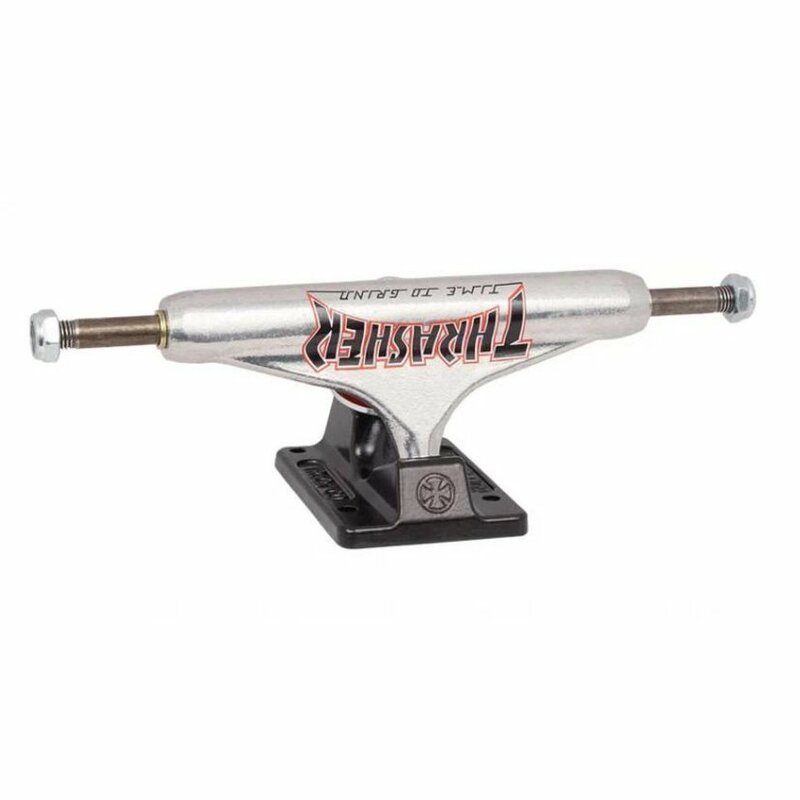 These trucks boast Independent's renowned durability and responsive performance complete with Thrasher's signature logo font across the hangers. Trucks sold individually; order quantity of 2 for a set! Lifetime Guarantee: Covered under manufacturer lifetime guarantee against breakage defects in hanger/base materials or workmanship.